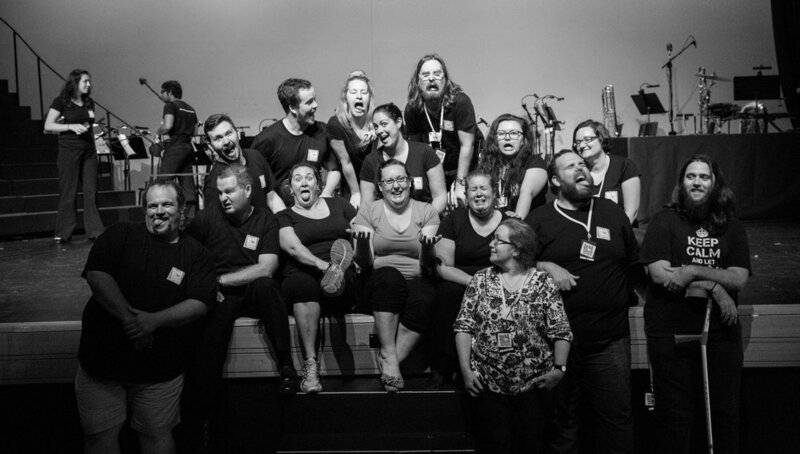 Our community is what makes The 24 Hour Musical Project so special. It takes just as many (if not more) people to produce a show in one day as it does over 6 months. As the saying goes "many hands make light work" so we need all the hands we can get, and in return we promise you a unique and unforgettable experience. The 24 Hour Musical Project is a community fundraising venture. All participation is on a volunteer basis. The 2019 Project will take place on the weekend of 13-14 April in Brisbane, Australia. Applications for Prod Team roles are now closed. The Prod Team starts working through the logistical and creative planning of the show from mid-January. This includes creative roles and leadership roles in the technical and support team. Applications for the cast and orchestra are now closed. Cast applicants are required to audition on the weekend of 9-10 March 2019, or submit a video audition by 7 March. Musicians are not required to audition, placements will be made according to the needs of the orchestration. Performers are only required for the Project weekend. Applications for crew and support team are now open and will close 31 March 2019. Stage and technical crew may be allocated to various roles according to your skills and availability. We are not only looking for crew during the Project weekend, but also to assist with pre-bump in tasks like sewing and set construction, bump in and bump out. The all-important support team keep the Project running, providing all sorts of assistance with organisation, care and support, first-aid, catering and front-of-house.